6 easy weeknight dinners plus a crowd-pleasing ice cream! 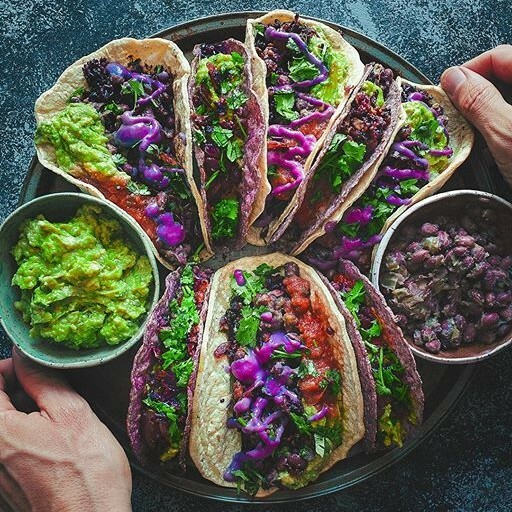 Spicy rice, smoky black beans, creamy guacamole and a flavor-packed chipotle crema join forces for this ultimate taco dinner. Make an extra large batch and pack the leftovers for lunches for the week. Feedfeed Tip Not sure what to do with the rest of that can of chipotles in adobo after you've opened it? Freeze it in small cubes and use it for future soups, chilis, stews, and stir-fries. 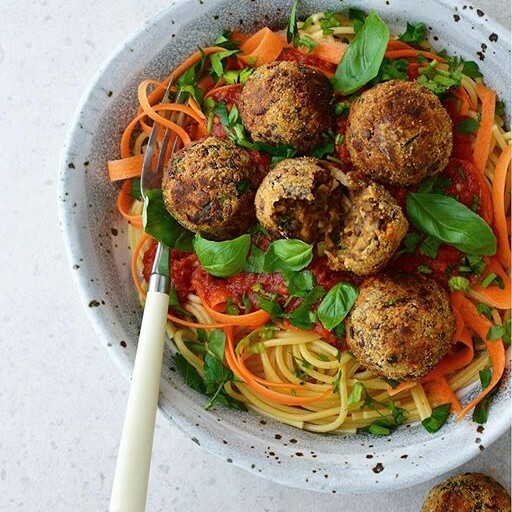 Lentils, oats, and mushrooms serve as the backbone for these hearty "meat" balls. Serve these with your favorite noodle (veggie noodles work, too! ), grain, or green salad. Feedfeed Tip Make sure you're using quick oats, versus old-fashioned rolled oats. Quick oats are slightly finer and won't provide such a gritty, tough texture like old-fashioned oats. When all else fails, there's no shame in falling back on a hearty veggie bowl. 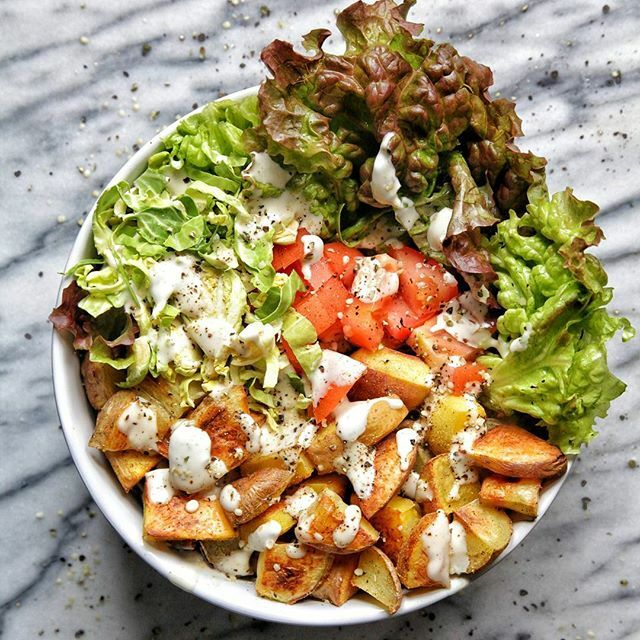 With a red leaf lettuce base, this dinner salad packs spicy roasted potatoes as well as Brussels sprouts, making it the perfect canvas for a generous glug of vegan ranch dressing. 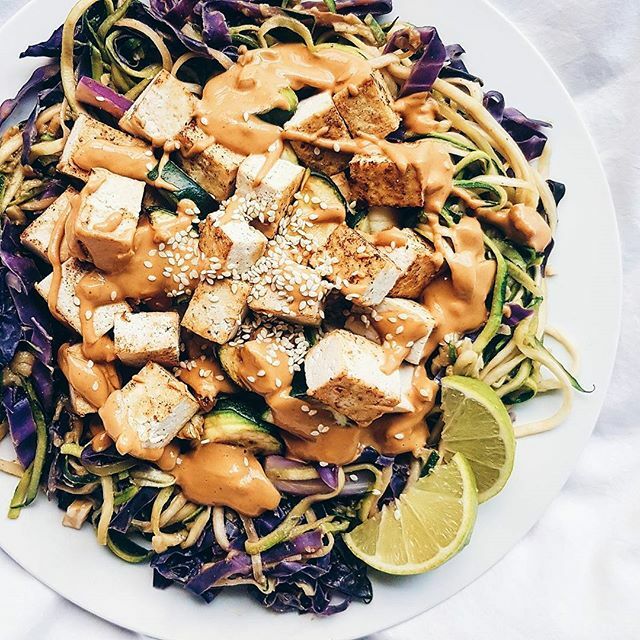 This simple dinner comes together in minutes and you're going to have to take our word that this peanut sauce is absolutely to die for. Feedfeed Tip If you don't have peanut flour, you can still get that signature nutty flavor with peanut butter or any nut butter of you choosing. This kimchi tofu is about to revolutionize your dinner game. Served inside these crispy taco shells, this hearty taco salad is great for the picky eater in your life. 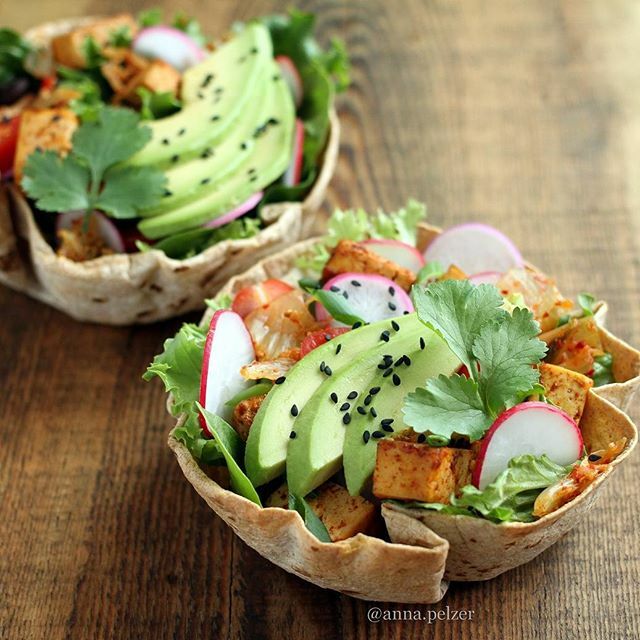 If you're short on time, simply serve it in a warmed tortilla and eat it like a taco. If you don't think sweet, summer strawberries don't have a place in your dinner veggie bowl, we'd urge you to reconsider. 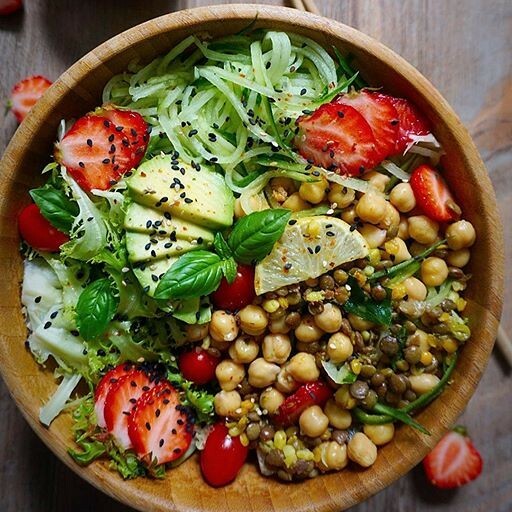 Packed with chickpeas, lentils, and cucumber noodles, this hearty bowl has it all. Feedfeed Tip Don't have any strawberries? There's plenty of fresh fruit that would work perfectly in this bowl. Blueberries, raspberries, blackberries, cherries, or even a sliced pear would be delicious. For us, summertime desserts have two requirements: tons of fresh fruit and no time in the oven. 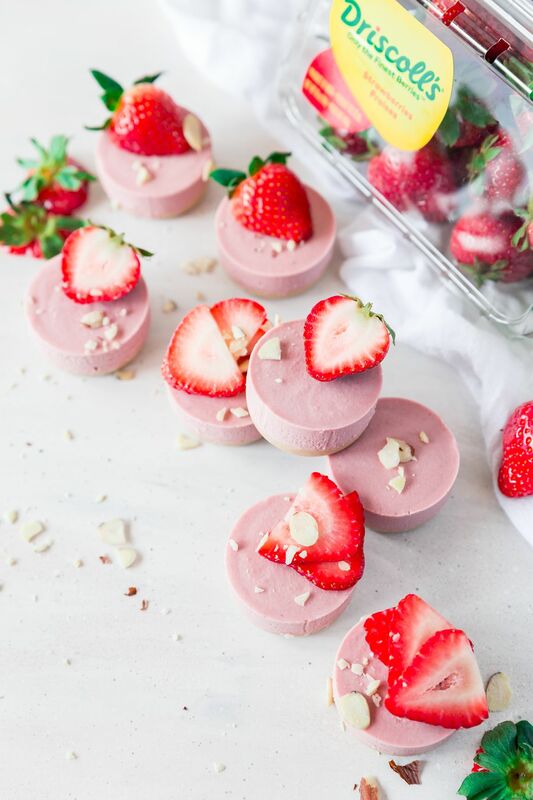 Lucky for you, these mini cheesecakes fit both those criteria, so we think you're really going to love these.